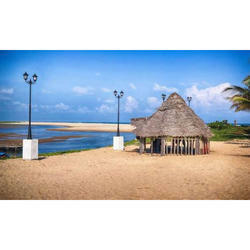 Pioneers in the industry, we offer puducherry holiday package from India. Pondicherry was under French colonialisation for three centuries before its final return to India. Many French intellectuals come to study the Indian civilization and languages in the French institute of Ideology. The city hardly arouses any cultural interest except for perhaps the national museum and the mansion of Anandarangapillai, constructed in the 18th century by a representative of Dupleix. It shows a fusion of Indian and western architecture.